Dialysis is serious business. 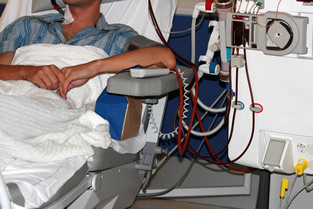 The average life expectancy after a person goes on dialysis is only 5-10 years. Of course that means that some people live much longer than that. And some people live much shorter than that. So here's the question. If you're on dialysis, what can you do to increase your chances of being in the "living longer" category? A new study shows that supplements can really help. But the limitations of the study also show that in order to have a big difference you need a more comprehensive approach. The authors of the study point out that the three major problems that dialysis patients have is increased oxidative stress, inflammation, and malnutrition. These three are what drive the high rate of cardiovascular disease and wasting in dialysis patients. So they wondered if supplementing the antioxidant nutrients alpha lipoic acid and vitamin E might be able to decrease oxidant stress, inflammation, and malnutrition. Here's what they did. They divided a group of 85 dialysis (hemodialysis) patients into four groups. They gave the first group 400 units of vitamin E every day. They gave the second group 600 mg of alpha lipoic acid a day. They gave the third group both the vitamin E and the lipoic acid. And they gave the fourth group the placebo. The experiment went on for two months. Before the experiment started and after the two months, they calculated the amount of oxidant stress by measuring their malondialdehyde levels. They looked at inflammation by measuring two inflammatory markers: CRP (C-reactive protein) and interleukin-6. And finally they determined their nutritional status by looking at their weight, calorie intake, and their SGA (subjective global assessment). The SGA is a proven assessment tool that can predict nutritional complications accurately. Here's what they found. In every marker looked at, the patients on the supplements did better than those on placebo. While the makers in the placebo group worsened in every category, the markers in the supplement group either improved or remained the same. Unfortunately, because the group of patients they studied was small, all of the results were not statistically significant. Only the decrease in interleukin-6 and an improvement in SGA, weight, and calorie intake was statistically significant. But I have some thoughts on that. First, as most of my readers know to just supplement two nutritional antioxidants and expect much of anything is a real example of unbridled optimism. That is not the way the body works. Lipoic acid recycles vitamin C and vitamin E. So why not supplement all of the other nutrients the body needs to help with inflammation and oxidant stress? Also, antioxidant nutrients don't work by themselves. They work with antioxidant enzymes. If the patients lack the enzymes, then the effect of the nutrients is likely to be negligible. The authors of the study did not take this into consideration. Here's what should have been done. They should have measured antioxidant enzyme activity and then improved with either ozone therapy or vigorous exercise. These two treatments are the only proven ways to increase antioxidant enzyme activity. Then the activity of the lipoic acid and vitamin E would have been much greater. Secondly, instead of just supplementing the patients with two solitary nutrients, they should have used a complex combination of nutrients, such as you'll find in my Super Immune QuickStart. But here's the great point. Even with the severe limitations of the study, these researchers were able to show that in only two months, with only two supplements there was a significant increase in the nutritional status of the dialysis patients. So if you or a loved one are getting dialysis treatments, make sure you take a good, well-rounded nutritional supplement like QuickStart, along with Complete Daily Oils, and Advanced Liver Support. Of course, each patient should check with his dialysis doctor just to be sure that there is no reason in his particular case to avoid any of these supplements. And finally, find a doctor well versed in ozone therapy at www.aaot.us. Or if you are able to, start on a regular vigorous exercise program. And if there is no doctor close to you who can give you ozone treatments, hang on. 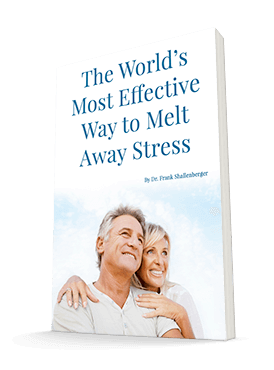 In the near future, I will be describing safe and effective ways for you to give yourself your own ozone therapies right in your home. Ahmadi A, Mazooji N, Roozbeh J, et al. "Effect of alpha-lipoic acid and vitamin E supplementation on oxidative stress, inflammation, and malnutrition in hemodialysis patients." Iran J Kidney Dis. 2013 Nov;7(6):461-7.